Arvind Kesh - January 24, 2017 - Leave your thoughts. We have a very exciting year coming up! All content marketing efforts are going to be directed to video. While video marketing spiked up in 2016, 2017 is going to be the year where a lot of brands go in for the kill. Keeping this in mind, social media giants are battling it out heavily. Facebook has already invested millions of dollars in promoting their new live feature. 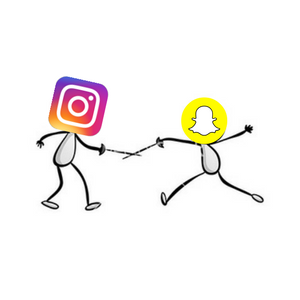 Instagram and Snapchat have crossed swords in video stories. Meanwhile, a new player has silently entered the social media battlefield. Amid all the chaos, you better make a solid plan. The video marketing trends discussed in this article has all the intel you’ll ever need. Jot down every point. You can’t afford to miss even one. Instagram marketing was only for brands targeting teenagers. This is not true anymore. 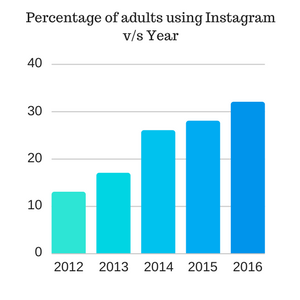 The number of older users in Instagram is increasing at a rapid rate. In 2017, the number of adults using Instagram will become too huge to ignore. 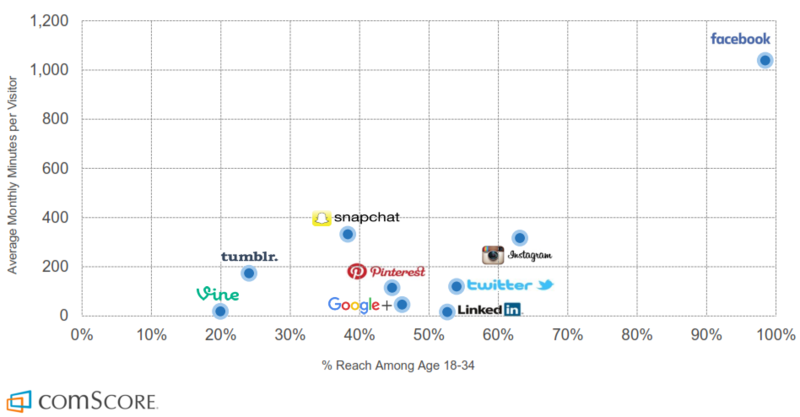 As you can see, the number of older Instagram users are growing at an alarming rate. In 2012, only 12% of adults were on Instagram while in 2016 it has spiked to an impressive 32%. By the end of 2017, it will be close to 40%. 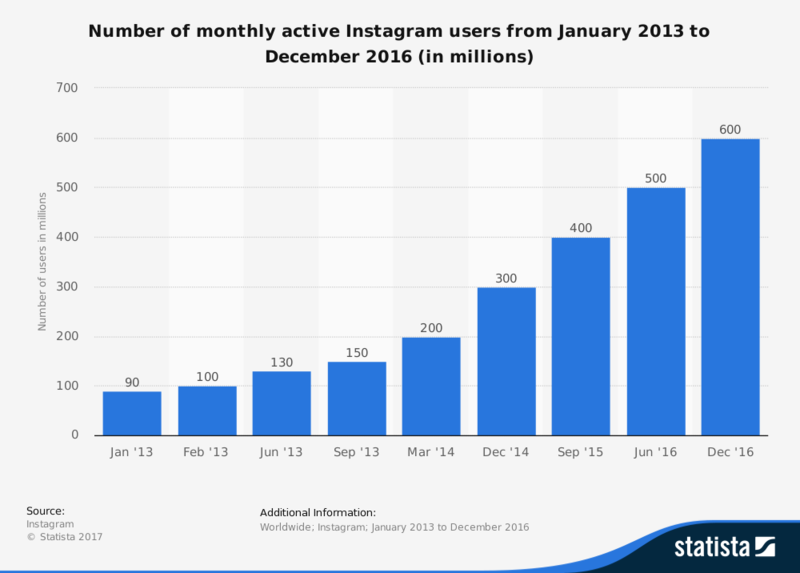 These stats are more significant as the total number of Instagram users are also rising exponentially. As shown in the above chart by Statista, it has increased to a whopping 600 million from 90 million in a matter of just three years. Gary Vaynerchuk calls this trend of spike in older users as the “youthification” of our society. TAKEAWAY: If you are targeting the older segment, act now! By the time your competitors realize it, you will be scores ahead. When it comes to content marketing, speed is everything.The first to execute always eats 90% of the pie. Make at least 4-5 pieces of video content on Instagram every day. It can be little 20s videos that are relevant to your audience. Musical.ly is the new Instagram. It is a very popular app with over 80 million total users and 10 million daily users. For brands targeting teenagers and millennials, this is the place to be! Musical.ly allows users to upload 15s live streaming videos related to music. Many new age influencers have risen to popularity thanks to their unique style and choreography. You can either tie up with these influencers or start building your own audience. 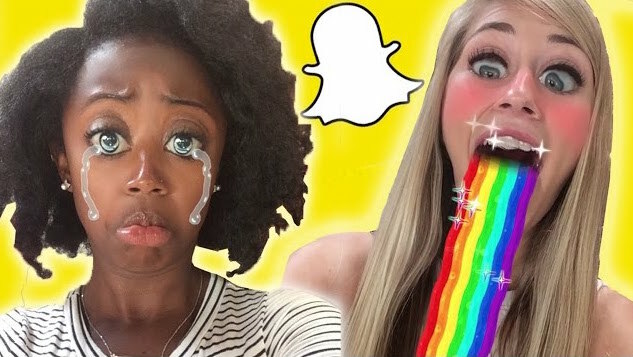 It’s clear that when it comes to teenagers, Musical.ly has already taken down Snapchat. Moreover, 70% of the users in Musical.ly are women according to Channel Pages. So if you belong to the music industry or have anything to do with young women, Musical.ly is a gold mine! TAKEAWAY: Musical.ly is experiencing tremendous growth right now. The upward spike has just begun. Make use of this upsurge now and within a couple of years, you will have a huge following. Even though its more popular among teens now, the others will soon follow suit. It happened to Facebook, it’s happening to Instagram and it will happen to Musical.ly. 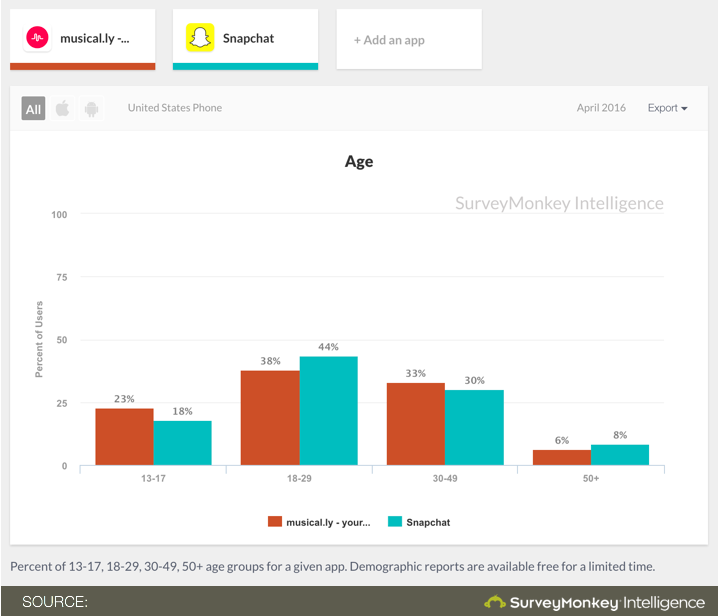 Snapchat engagement levels are heavily on the rise. According to Digital Trends, ten billion videos are watched a day in Snapchat. In 2017, this figure is only going to get better. The Financial Times state that Snapchat video views triple every month. Snapchat has already overtaken Facebook in terms of video views per day. With 10 billion video views per day as opposed to 8 billion for Facebook, this is more significant than you think. 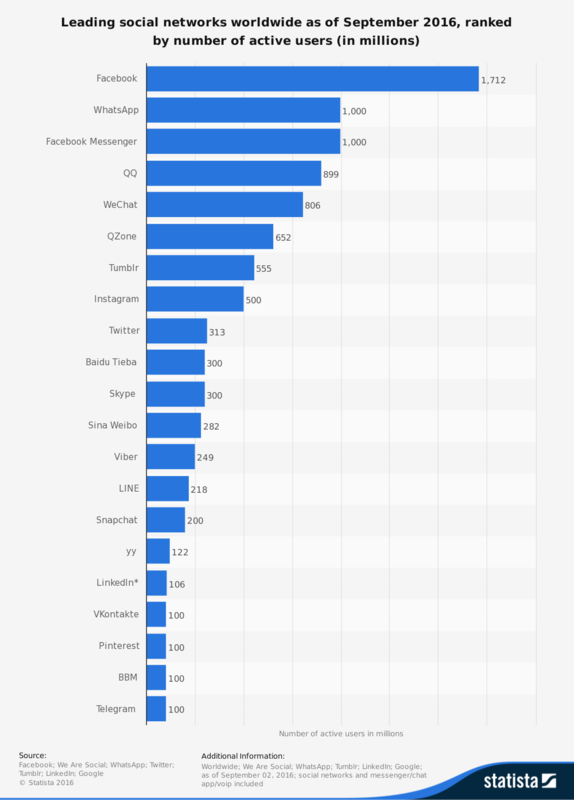 For every user in Snapchat, there are ten times more users in FB. Talk about engagement! TAKEAWAY: Spending a few minutes in Snapchat every day can give you a lot of returns. 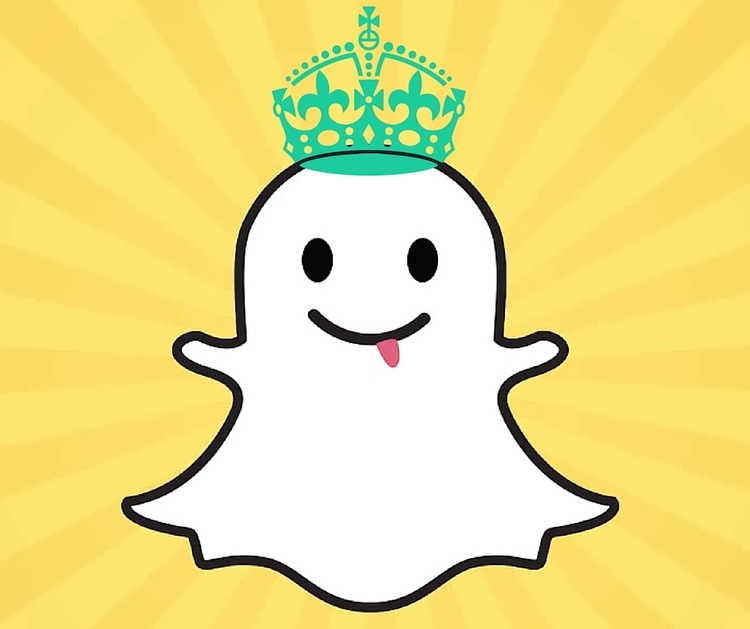 Check out our tips on Snapchat marketing for starters. Also, find influencers who can give you publicity. Influencer marketing has always been a rising trend, especially in Youtube. According to Nielsen, 92% of consumers trust recommendations from individuals over brands even if they don’t know those people. Now influencers are guys with huge fan bases. The following infographic by Flying Point Digital says it all. Though a very effective approach, there is a flipside. Brands need to spend a lot of time hunting down the perfect influencer to voice their brand. There is also the issue of inconsistent pricing. A few days ago, Jake Paul, a 19-year-old Disney star was able to raise 1 million dollars for his media company TeamDom. It is the first of its kind example where influencers will work as a team. Right now they are a group of ten with combined views of 7 billion and 40 million followers. In the future, brands would just have to approach a company with a pool of hundreds and thousands of influencers. Once they fill in their requirements, a team of relevant influencers will be allotted. This team will make a plethora of strategized content to give brands maximum reach. This sort of approach will bridge the gap between brands and influencers. 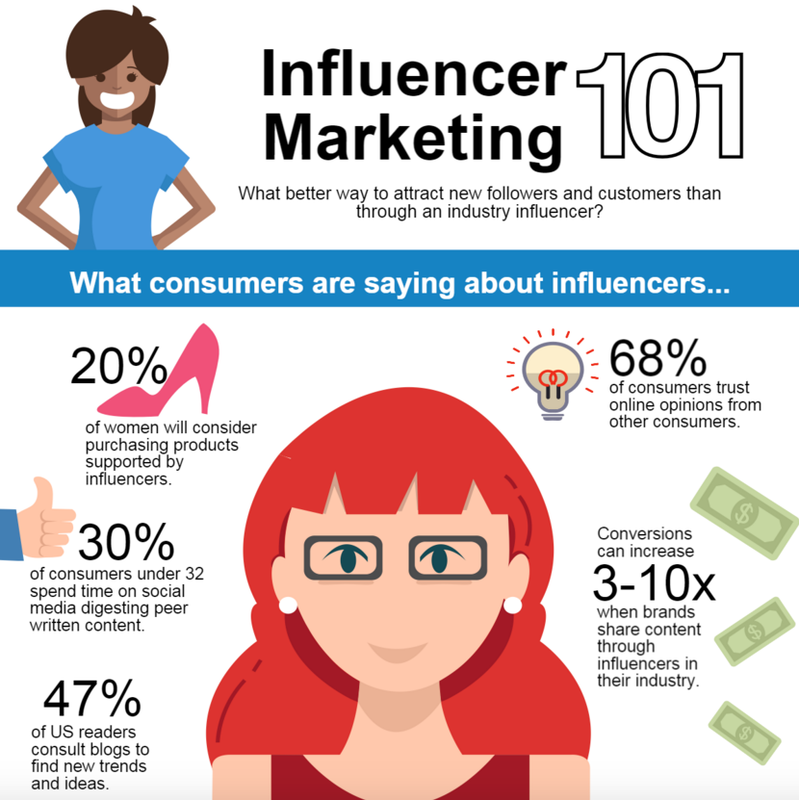 It will also make influencer marketing more effective. The difference would be like hiring an A-team instead of a Hitman. TeamDom also intends to be a facilitator in nurturing talent and grow more influencers. This is going to be the trend of 2017 and probably the only way influencer marketing will work in future. TAKEAWAY: In 2017, it would make sense to approach such influencer teams instead of handpicking an individual. If you have the money, always hire a well-polished team instead of testing an apparent jack of all trades. Snapchat became successful thanks to the story feature they invented. It allowed users to share small videos about themselves on the go. The cool editing features and filters made it unique and its ease of use made it instantly popular. However, this new player in the social media market was in for an Insta-surprise. Just 6 months ago, Instagram Stories which is a direct clone of Snapchat stories (they didn’t even change the name) came out. It has achieved a whopping 150 million daily users in this short period. This number equals the total user base in Snapchat. Instagram stole the idea and made it even better. With a huge 600 million user base, they already had the audience. The stories feature will get massive upgrades as both apps get ready for a social media showdown in 2017. The advantage of this feature is that it helps you make a more personal connection with your audience. TAKEAWAY: The stories feature in Instagram and Snapchat is the next big thing. Learn how to use it. Think how it will fit into your marketing plan. The basic idea is to connect with your users by letting them peep into your life. If you are an entrepreneur, share daily stories on interesting stuff happening within your office. Make sure that it also adds some sort of value to your target audience. Gone are the days when you could make one video on Youtube and share it all over social media. Nowadays, it is crucial to create content that is relevant to each platform. You should know what type of videos work on each platform. For example, what works on Instagram is not the kind of videos you want to post on Youtube. Check out this analysis by Tubular Insights. TAKEAWAY: Your competitors will do intense cross-platform strategizing in 2017 before publishing any video content. Publish the whole thing on Youtube. Break the major parts into interesting clips for Facebook. Share one clip each day. When it comes to Instagram, share the awesome quotes from the conference in the form of 10-15 second videos. Don’t forget to link to the main youtube video in the Instagram and Facebook shares! Virtual Reality will be the next big thing even before regular HD videos reach the saturation limit. A recent case study done by Magnifyre has shown that the same video gets 28.81% more viewers when published in 360-degree format. The number of people who watched the video till the end also doubled. As you can see, the Click Through Rates(CTR) are significantly higher at 4.51% in 360-degree videos as opposed to 0.56% for regular videos. The promise shown by VR in 2016 was just the first wave. In 2017, things will really flare up. The main catalyst would be the affordable advertising rates for 360-degree videos. 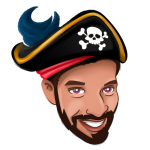 The cost per 1000 Impressions(CPM) is only $1.74 as opposed to $4.20 for regular videos. TAKEAWAY: Why wait till everyone starts implementing it? Start now and be ages ahead of your competition. Virtual Reality is the future. According to Livestream, the number of viewers watching Live Video increased by 81% in 2016. This figure is only going to increase in 2017. All the main social media channels have introduced this feature and are heavily investing on it. 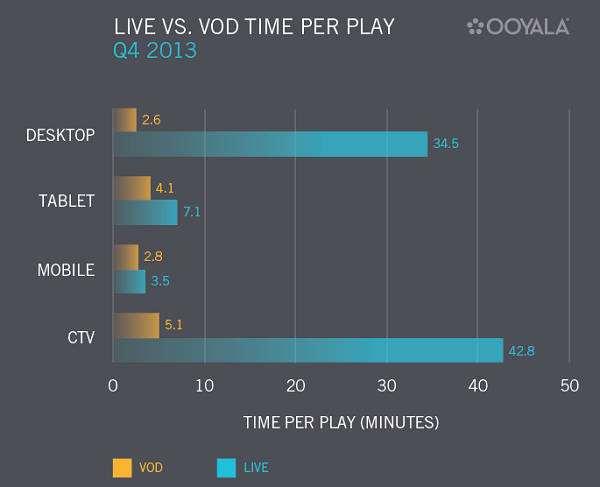 As you can see, Live video is more popular in other platforms as well. TAKEAWAY: Live video should be your main weapon in your video marketing 2017 arsenal for 2017. Go LIVE or die! Facebook might not be growing as fast as platforms but it’s already big with 1.71 billion users. It just cannot be ignored! Mark Zuckerberg has been stating for a while that all their apps are taking a video first approach. Facebook Live is the latest feature that’s getting some noise. They have already invested 50 million dollars on celebrities and other influencers to promote it. Facebook had increased the number of videos appearing in news feeds by as much as 360% back in 2015 itself. According to Recode, 500 million users watch facebook videos every day. Of these videos, Facebook Live videos are viewed 3x times longer. Did you know that Facebook sends notifications to your followers when you go live? You also get to see who all are watching and view their comments. This allows for Q and A sessions and live interactions. These features take engagement levels to a whole new high. TAKEAWAY: Facebook understands the potential of live stream videos. It is going all out to promote it. Remember how 5 years ago we could use Facebook groups to send traffic to our website for free? Now you need to pay for it. Facebook does this all the time. First they help you for free. Then they monetize it. Facebook Live is an amazing feature which is free right now. And that’s how it will be for 2017. Of all the video marketing trends we’ve discussed so far, this is probably the most significant. Make full use of it! 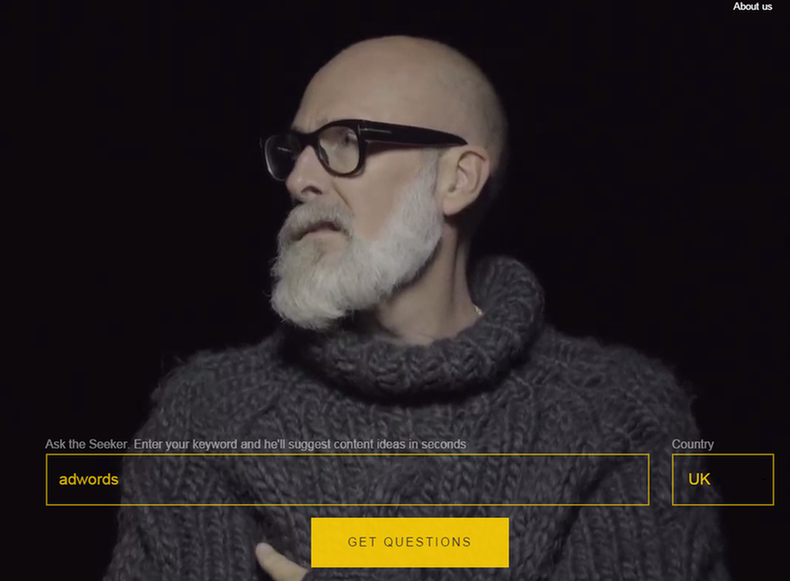 Many brands have already started integrating videos into their web design. The results are amazing. A simple video can make your website refreshingly unique. Check out the home page of “Answer the public”. Using videos in this fashion can dramatically reduce bounce rate. This trend can only rise in 2017. While the most popular way is to use video as background, in 2017, we expect marketers to find more innovative methods. For inspiration, check out this excellent blog post by Envato. 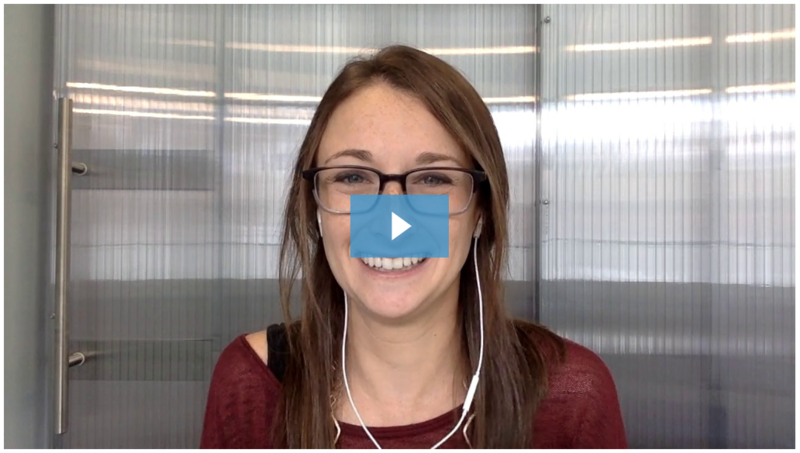 TAKEAWAY: Video can captivate new visitors. Think of unique ways in which you can make use of video in your web design. If your home page is a landing page, this could drastically improve conversions. That’s Wistia’s Erika, responding to a customer query. A friendly human face can be a thousand times more refreshing than a written mail. This is the sort of connection you want to make with your customers. Voicemails are going to become extremely popular in 2017. Check out this blog from Wistia for step by step instructions on how you can stand out with voicemails! TAKEAWAY: Videos can be used to enhance the customer experience in all stages of the buying cycle. Make sure your representatives are charming and friendly, though. You don’t want the whole idea to backfire! This bonus point was suggested by Yael Gorchover. Periscope is the Facebook of "Live Video". The live video trend was started off by Periscope back in 2015. It was so promising that even before the official launch, Twitter bought the app. Soon Meerkat, a similar app was launched as the main competitor. Within 6 months, Periscope had a user base of 10 million. Facebook Live and Youtube Live came up as a response to the huge potential Periscope showed. Even Instagram started its own live feature last week. 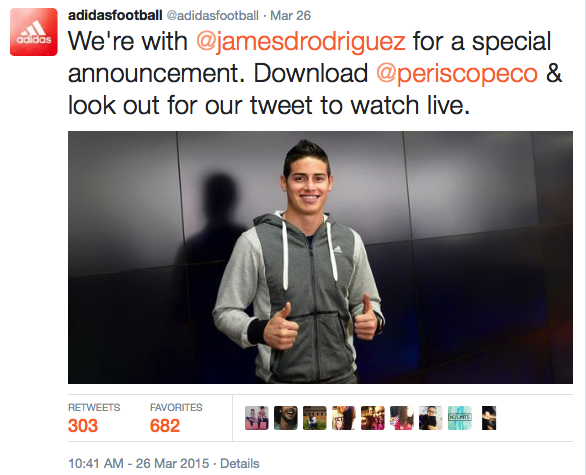 Brands like Redbull and Adidas use Periscope a lot. Periscope also allows seamless streaming with GoPro cameras. This is the main feature which divides it from the rest of the competition. TAKEAWAY: While the user bases in Instagram and Facebook are only getting accustomed to Live Video, Periscope offers a huge user base who exist only for Live Video! Tap into this source if Live Video is your main game. If you're into action sports, you have to be in Periscope! 13. Facebook and Youtube are on the verge of revolutionizing paid video ads forever! Imagine you are watching a much-awaited movie trailer. How cool would it be if a carousel popped below the video showing you the exact cool T-shirt and watch worn by your favorite actor with a “buy now” button? Sounds like revolution? This will take product placements to a whole new level. Movie companies will be more than happy with the extra revenue. Brands will be thrilled to be associated with much-awaited trailers. And the consumers? They will be more than happy to know about products used in the movie as long as it doesn’t interrupt anything. 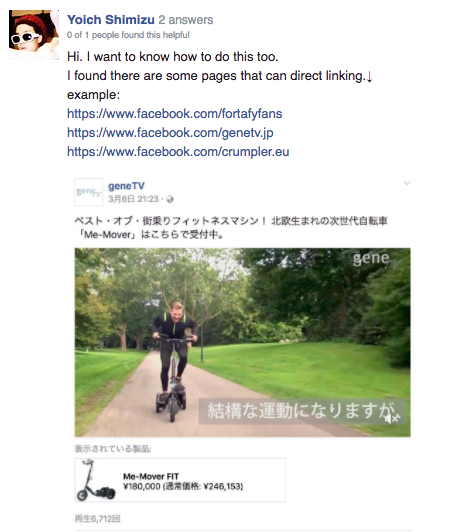 We’ll have to wait for it though because Facebook and Youtube are still doing some serious testing before bringing this feature out. However the Facebook help team has decided not to respond to these queries for now. They are probably waiting for the right moment to come out with all guns blazing. Facebook already allows businesses to tag their products on posts. It was a free tagging option. It seems that now they have finally found out a way to monetize it! The youtube version works more like Adwords. It’s not like brands can tag their products and show it below. 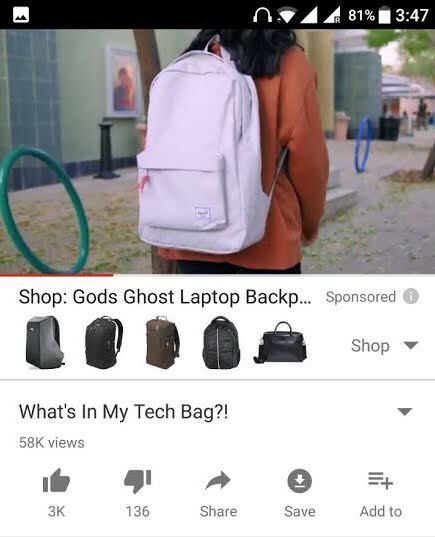 Youtube has an algorithm which identifies objects based on the video title, description, tags and then shows relevant ads below. TAKEAWAY: As video ads get revolutionized, start thinking of making entertaining videos that include your products. 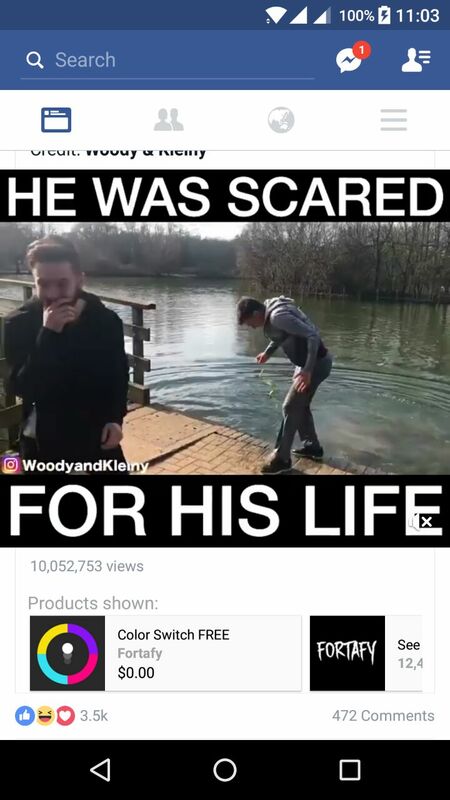 These videos shouldn't be commercial in nature. Paid ads in Youtube might get hotter than Google ads as it will be visually relevant to the customer. There has been a humungous increase in vertical videos thanks to the smartphone era. If you look at the trends, the number of vertical videos online have increased from a mere 5% in 2011 to a whopping 30% in 2016. Thanks to Snapchat, more than 10 billion vertical videos are consumed every single day. Facebook and Youtube have made their apps vertical video friendly. By the way, these are corporate giants who analyze billions of users before adding in new features! The pattern is clear. As users are consuming info using a vertical screen, vertical videos are getting very hot now. Even we have been getting requests from around the world to include a vertical video maker in Animaker. So we decided to conduct a market research using 10,000 people within our mailing list. We found out that a whopping 73% of the respondents were confident that vertical video is the next big thing. This is the reason why we finally decided to take the plunge and become the only animated vertical video maker in the market! TAKEAWAY: Every serious website on the internet has been mobile optimized. So why not make smartphone-friendly videos as well? Snapchat ads have had 9x times more completion when vertical optimized videos were used. It’s always better to be among the first to adopt a trend. Don’t wait for your competition to surge ahead! Everyone is going to go all out video marketing in 2017. Moreover, we live in times where even ads are highly targeted. So your videos need to be totally relevant and have the quality to add substantial value. The winners this year will be the ones with a well documented strategy. Make sure you refer the above trends while drafting your video marketing strategy. What is your take on the above video marketing trends in 2017? Do you have any insights on how things will shape up this year? Let us know in the comments!